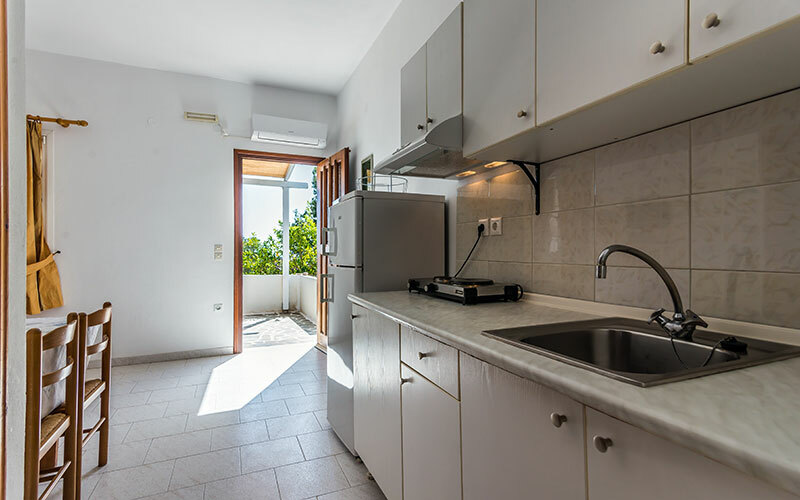 and Apartments consist of two separate buildings surrounded by a green flowery garden. 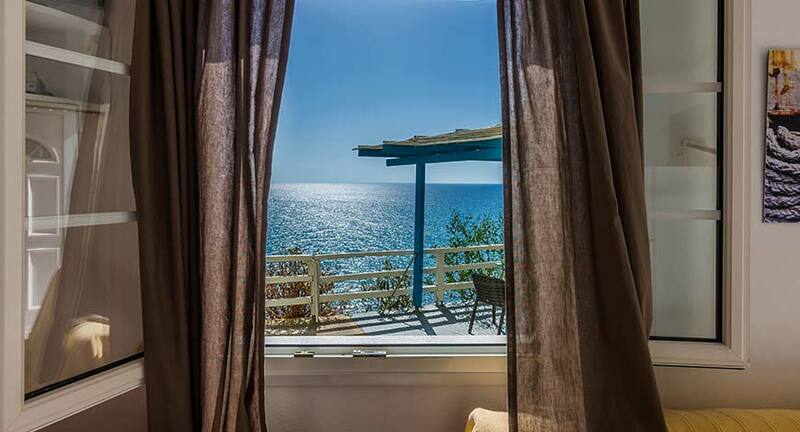 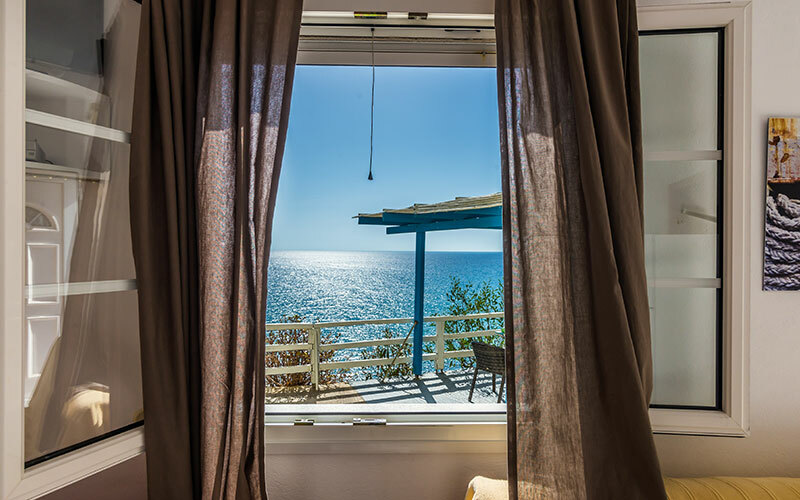 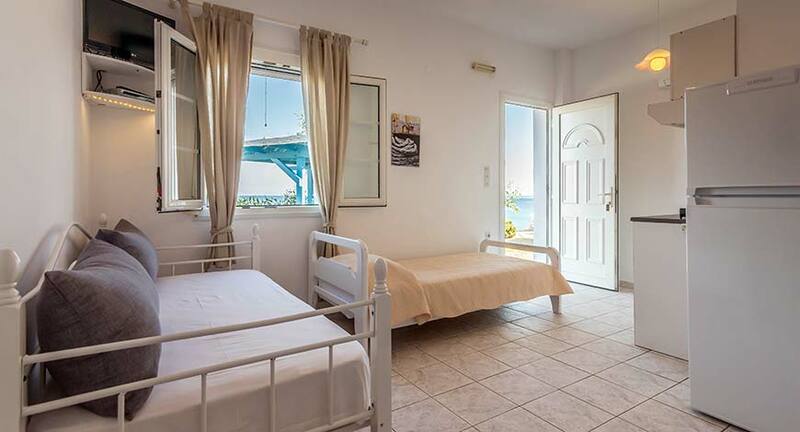 The rooms can accommodate up to 4 persons and have private verandas with vistas to the sea. 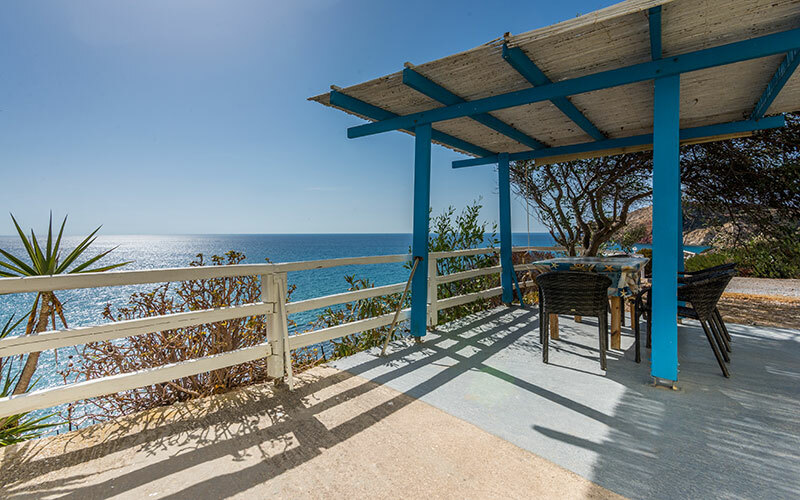 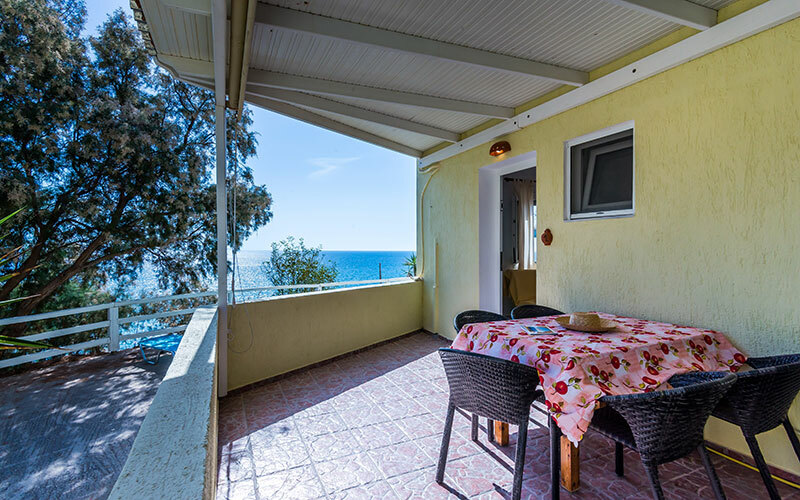 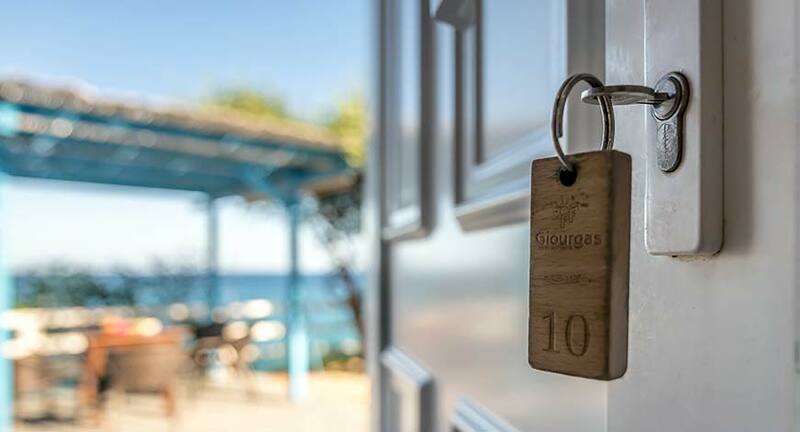 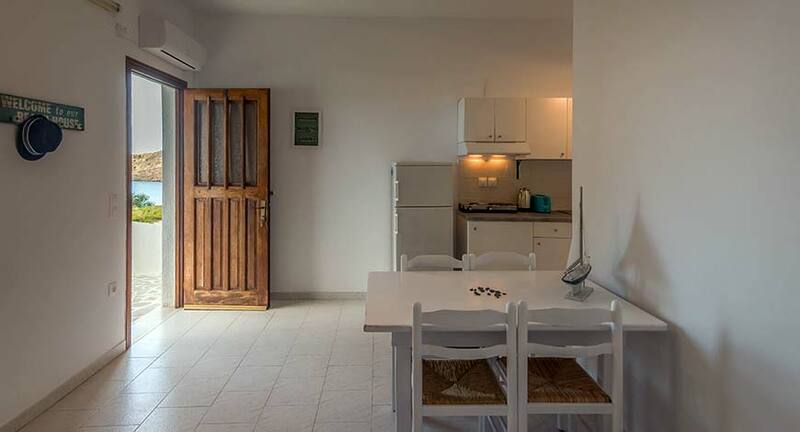 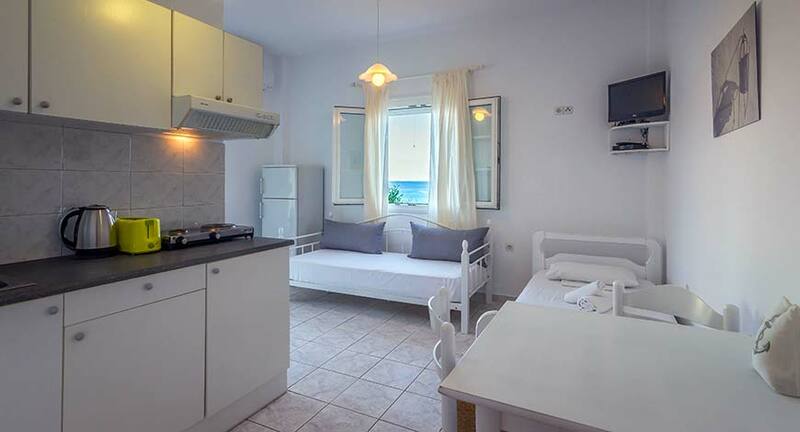 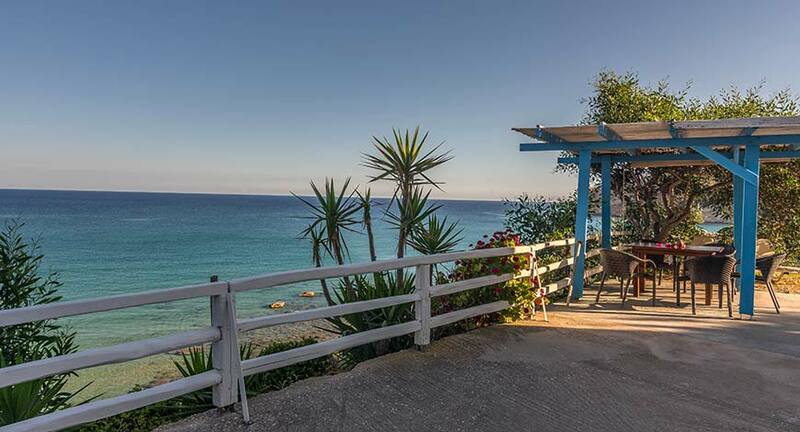 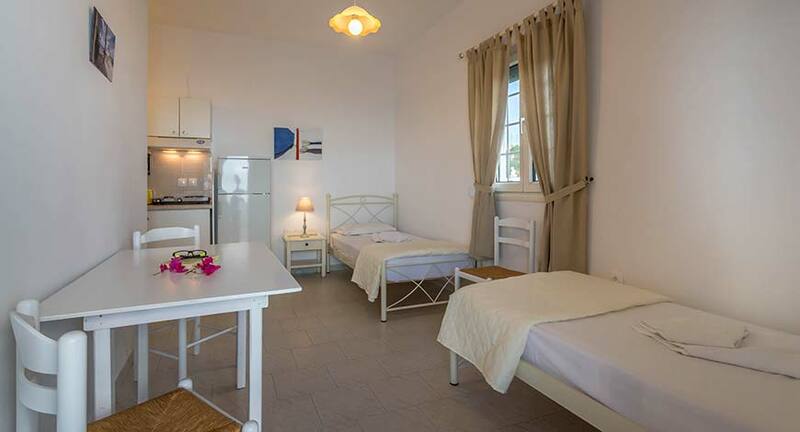 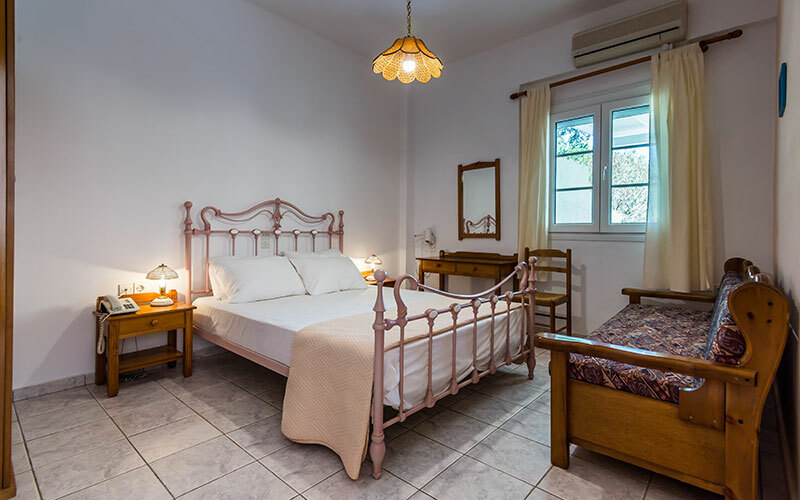 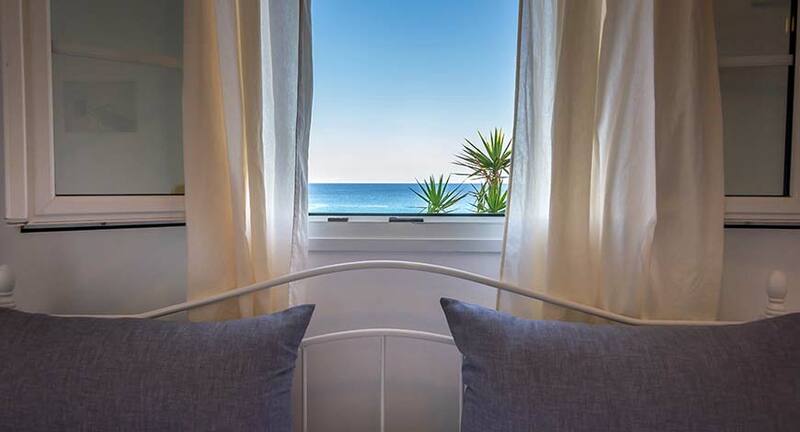 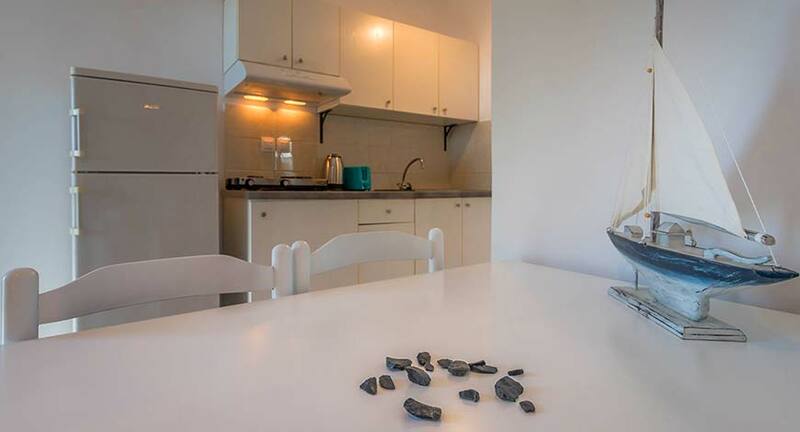 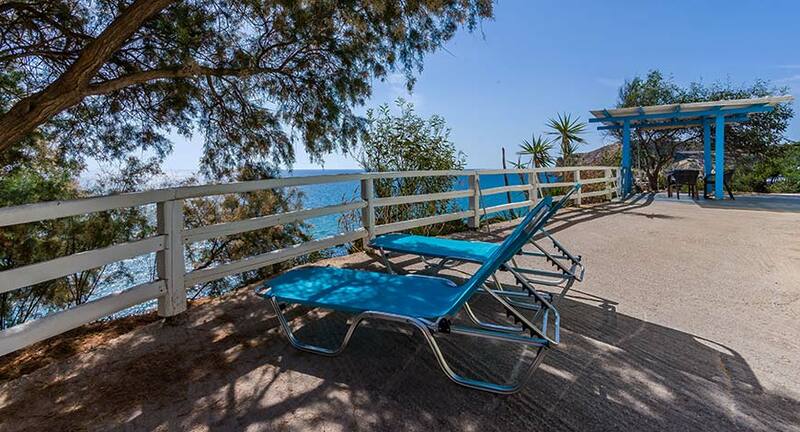 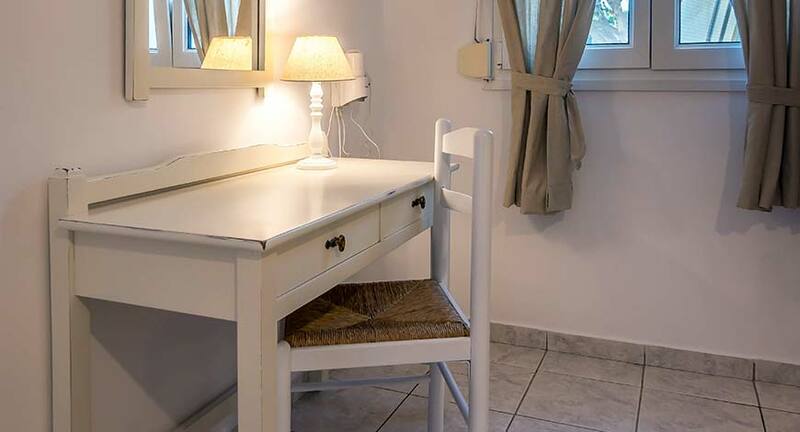 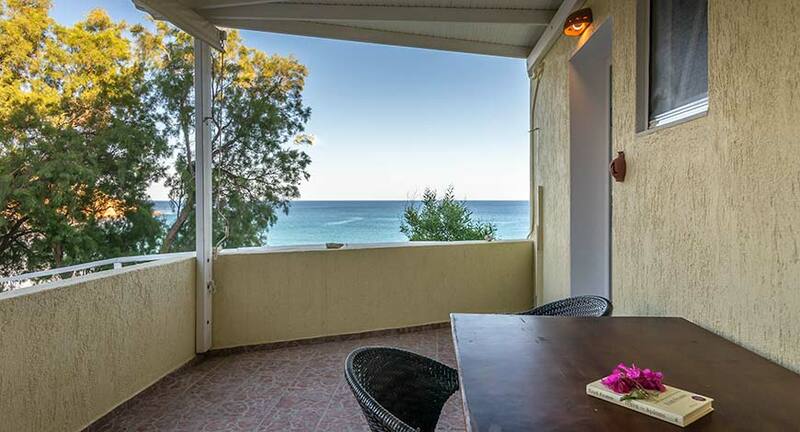 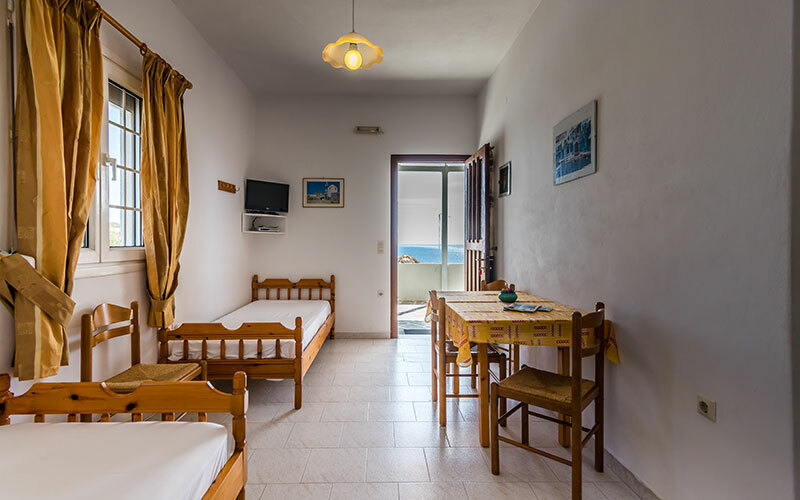 The large studios and two-room apartments , each with complete kitchenette and with its own veranda, are overlooking the beaches of Provatas and Agios Sostis, only 50m down the rooms, in a magical setting. 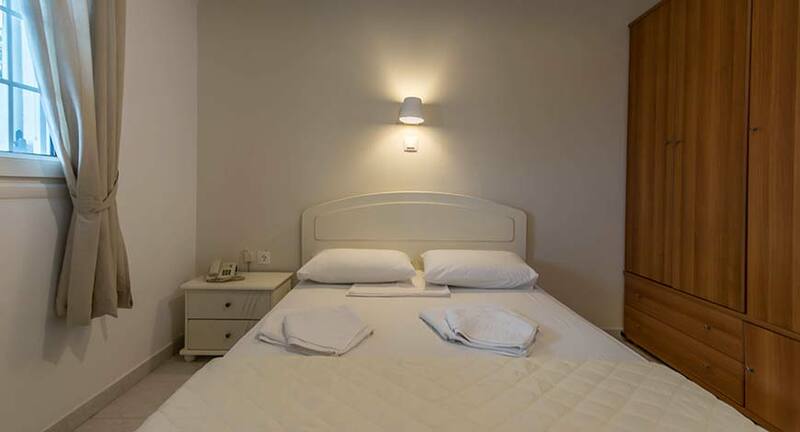 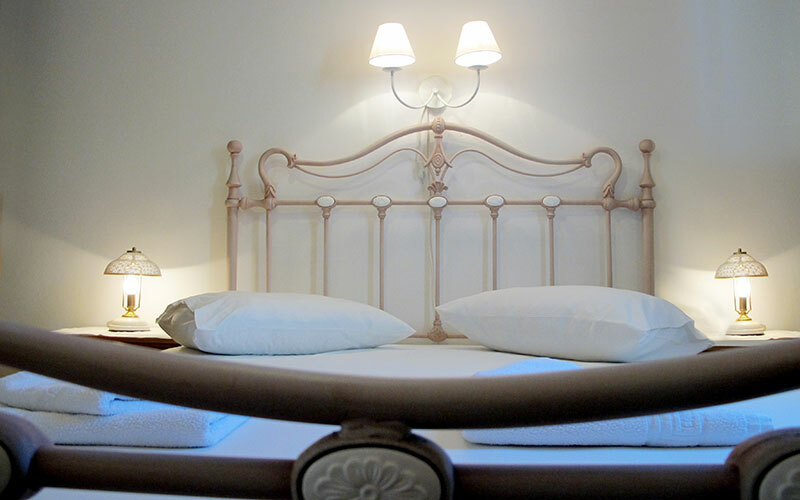 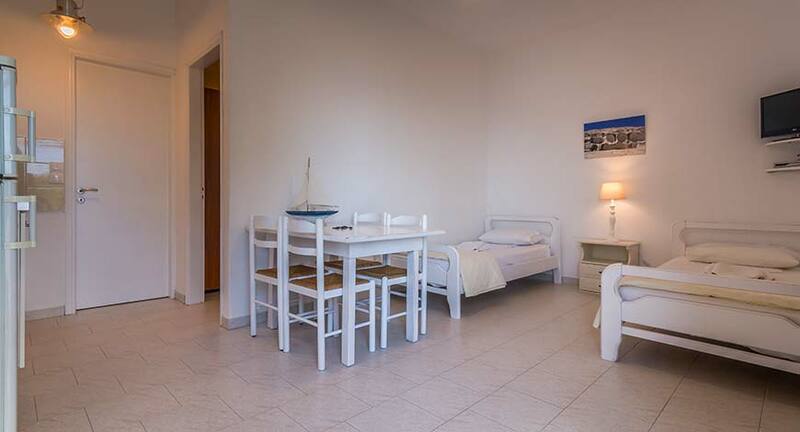 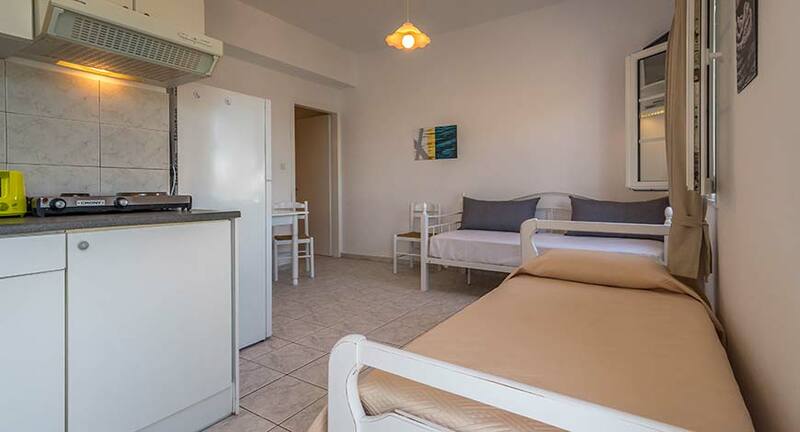 All rooms are equipped with free wifi, A/C, sat TV, telephone, kitchenette, fridge and bathroom. 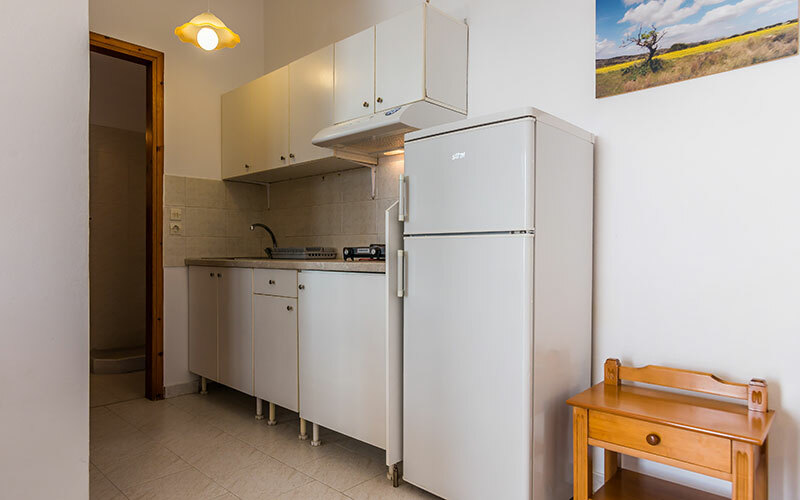 Baby equipment is available free of charge. 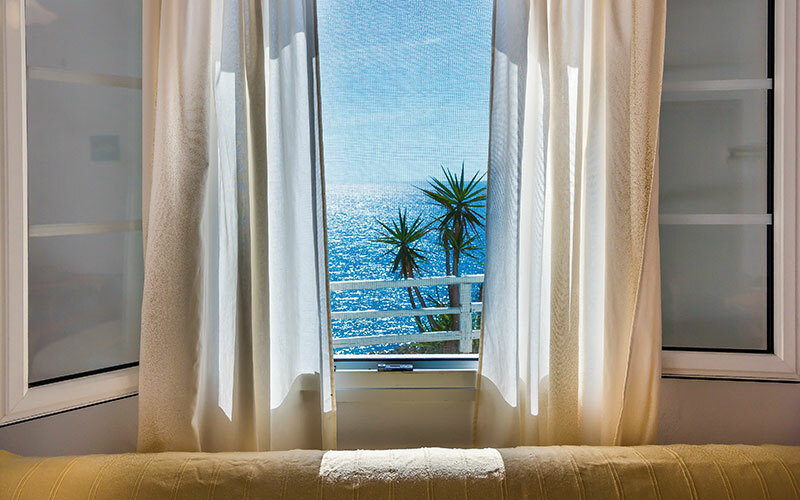 Daily maid service, linen is being changed every third night. 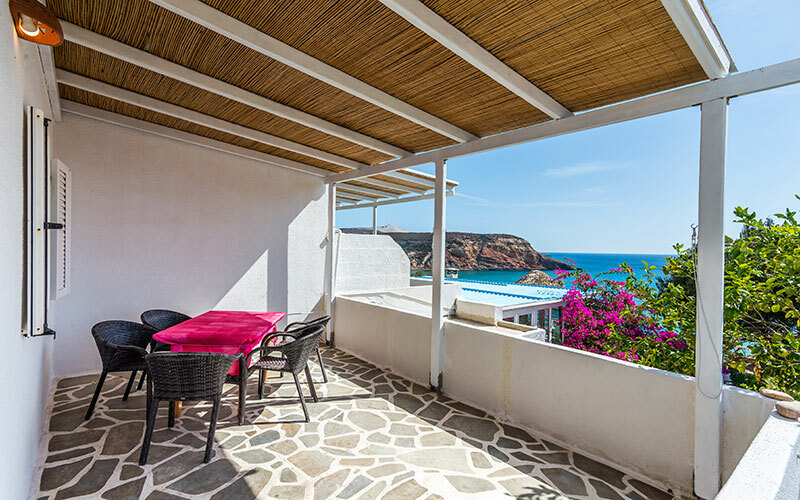 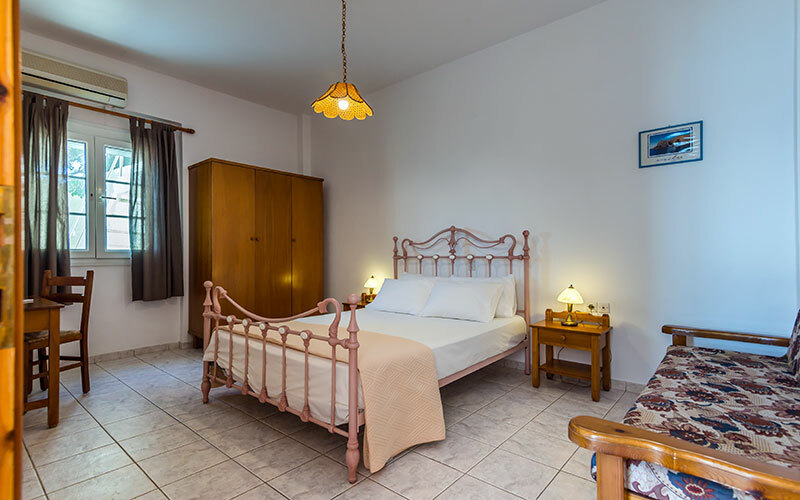 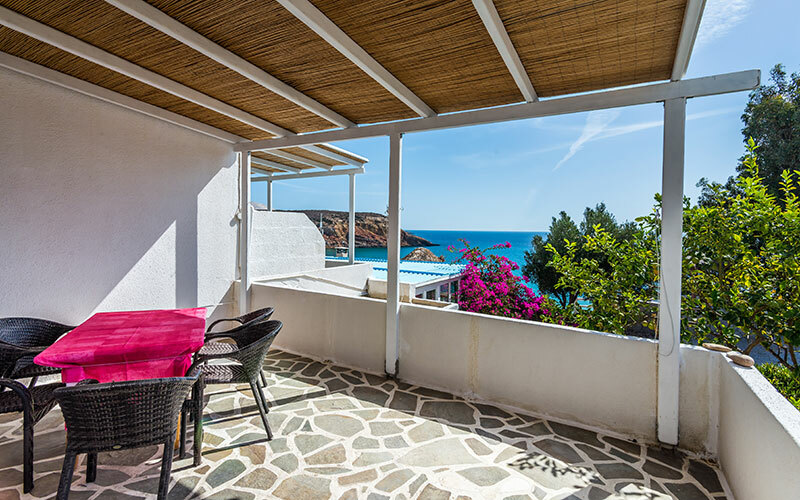 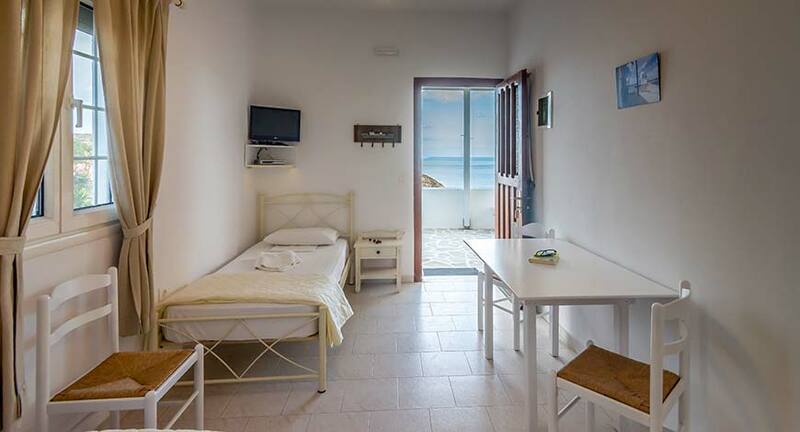 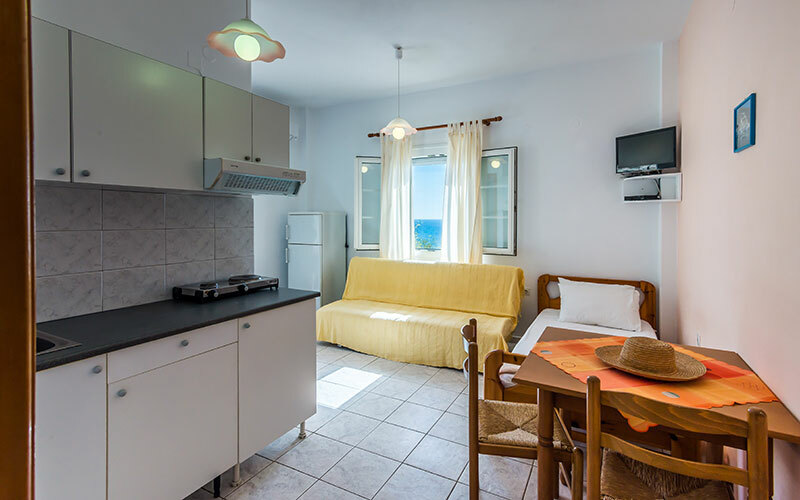 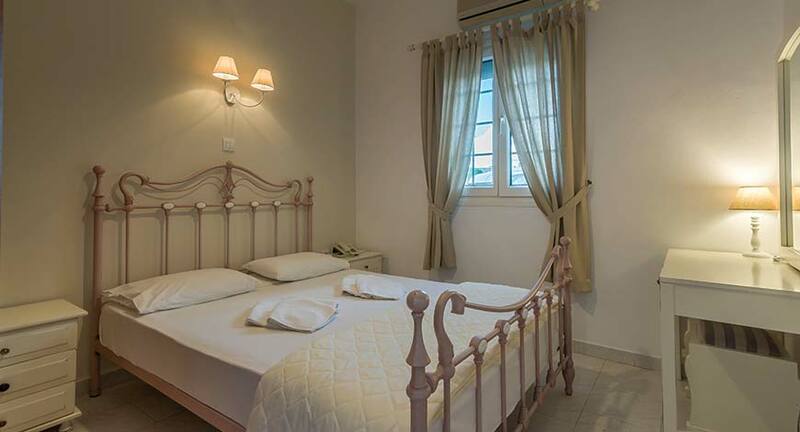 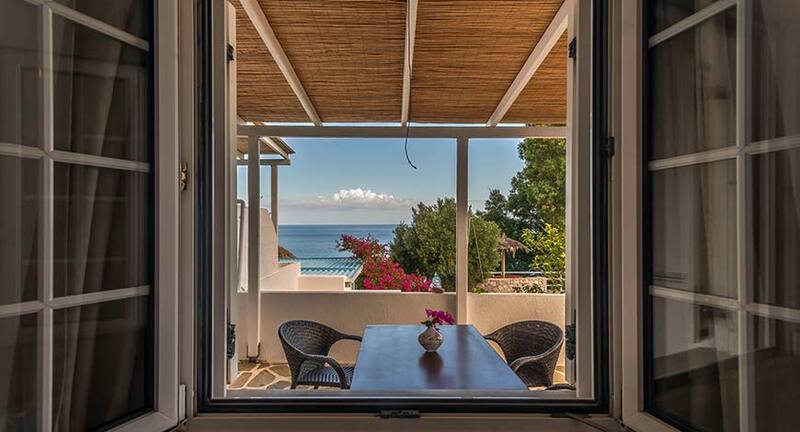 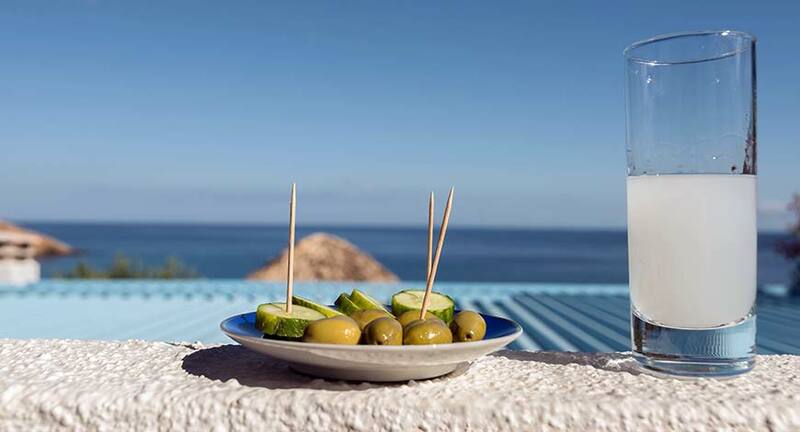 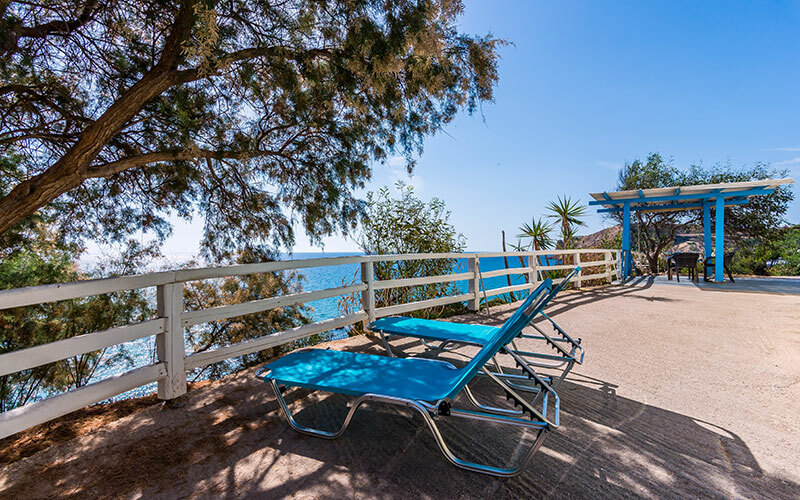 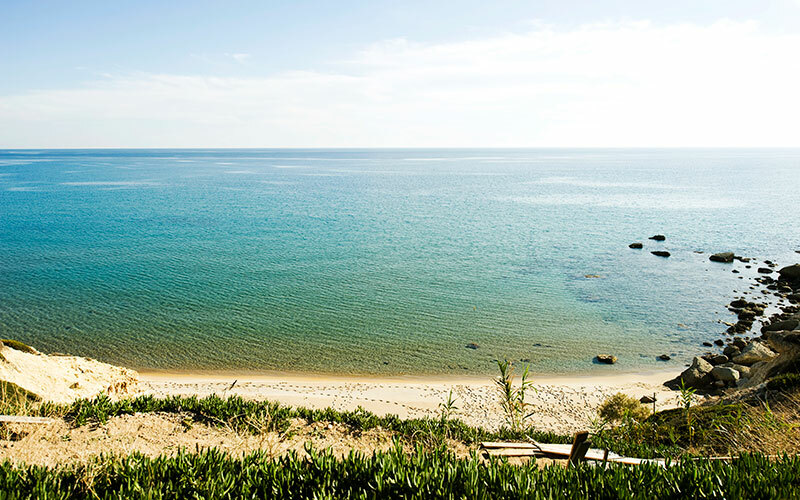 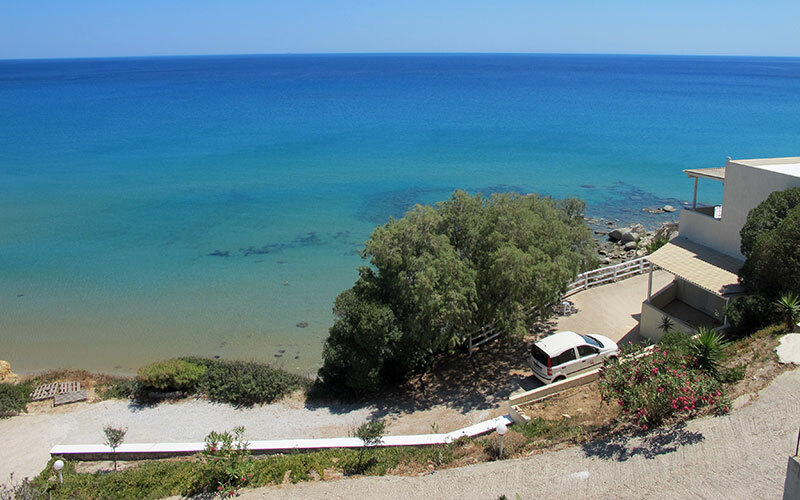 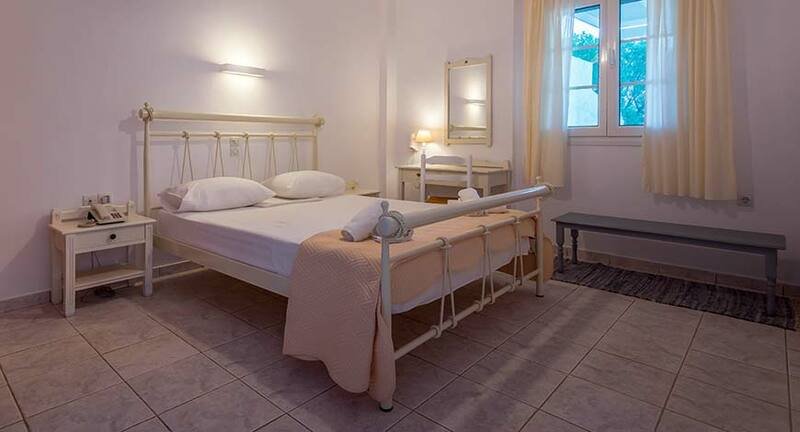 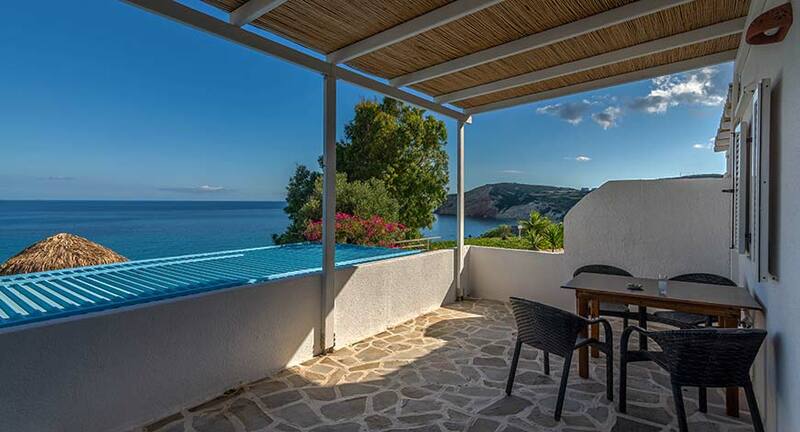 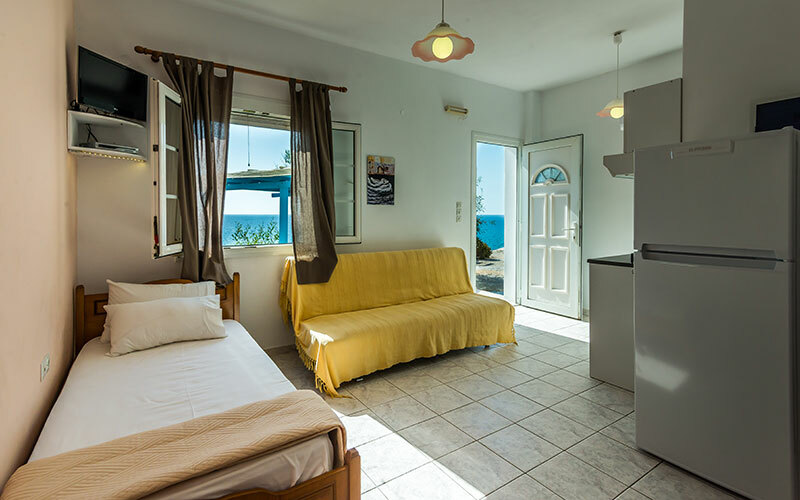 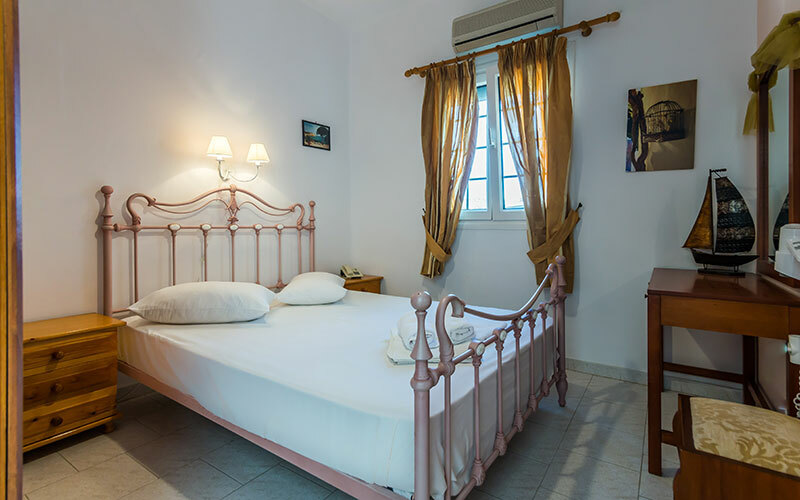 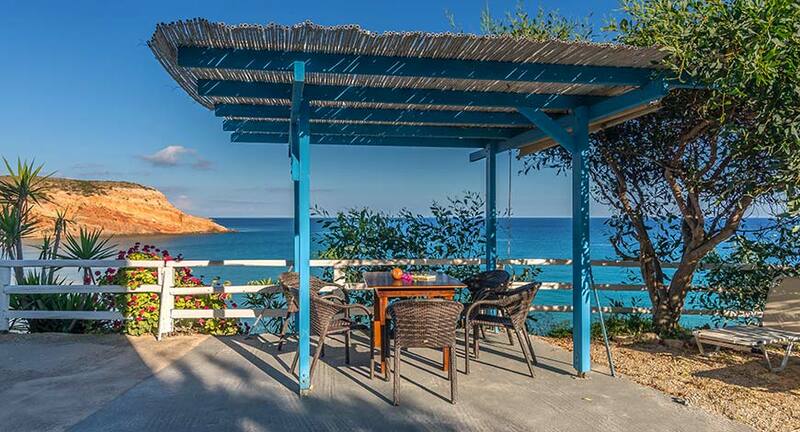 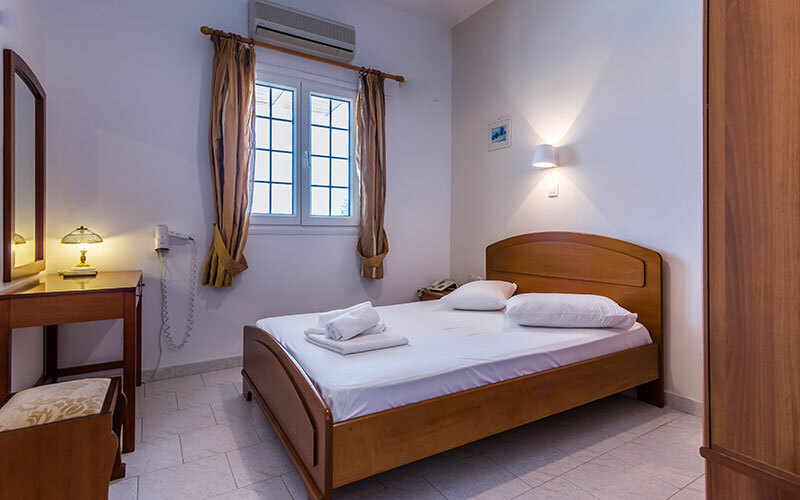 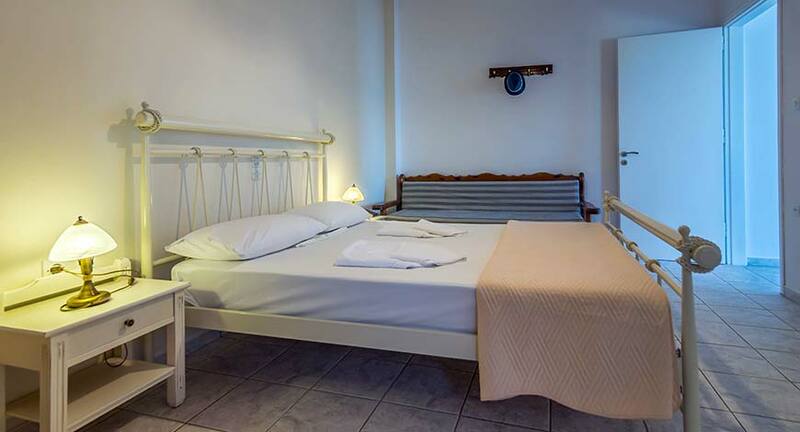 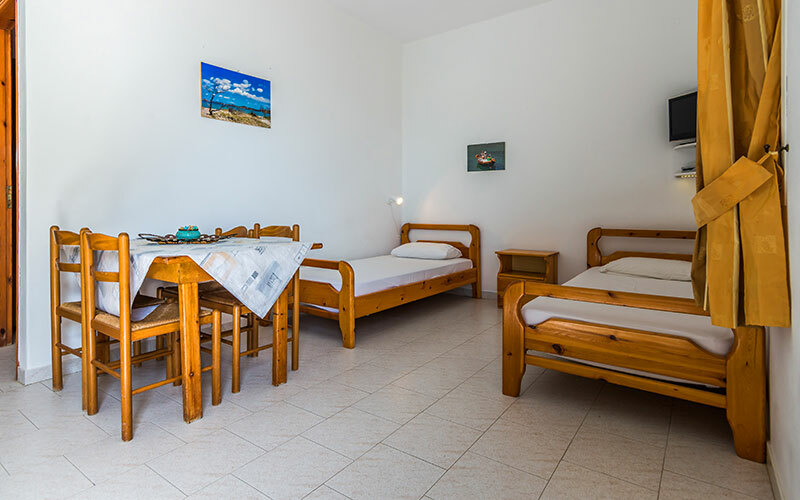 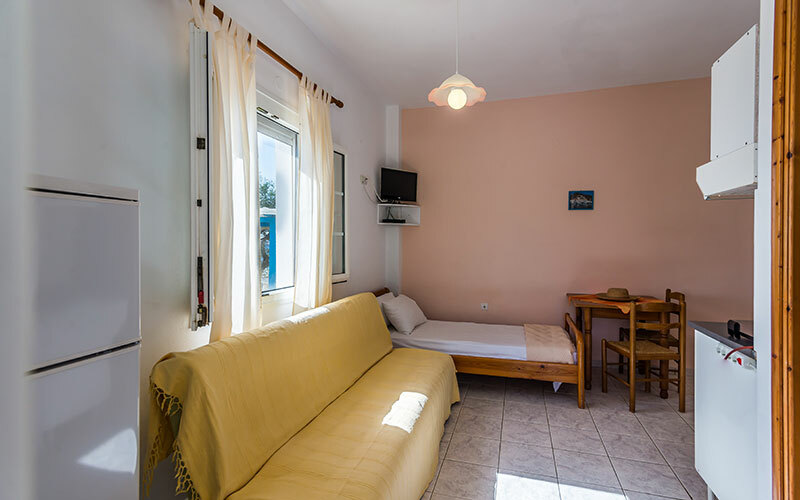 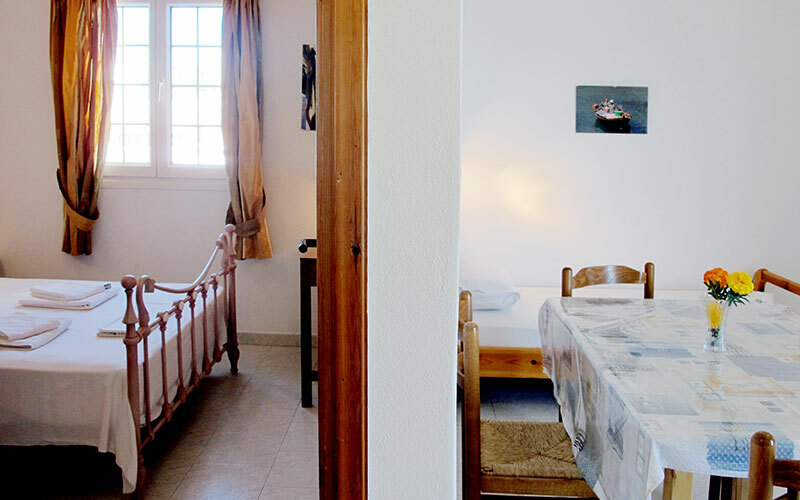 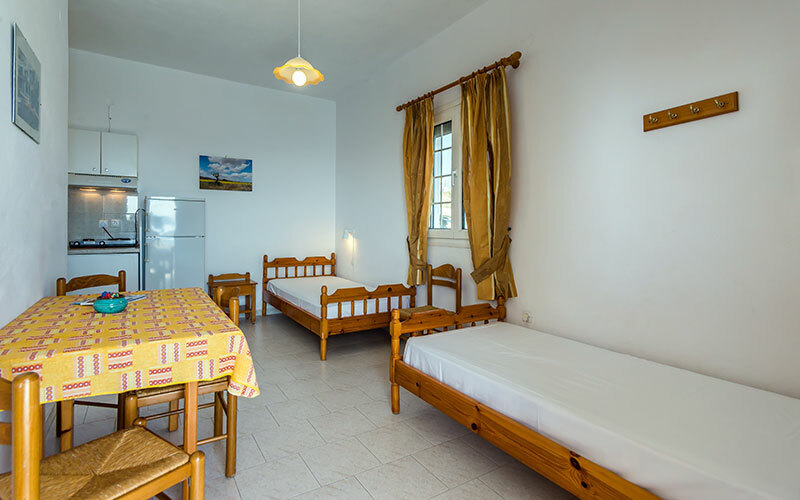 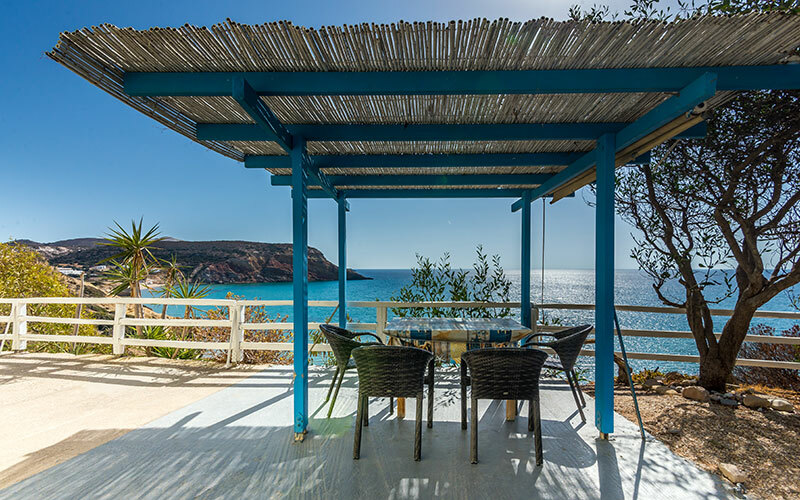 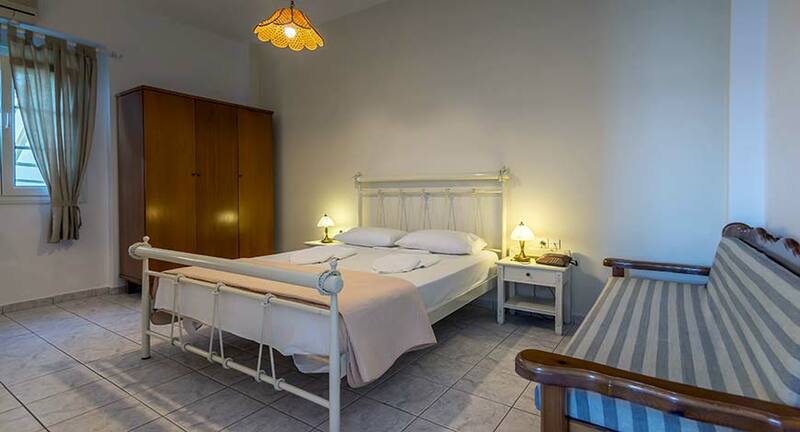 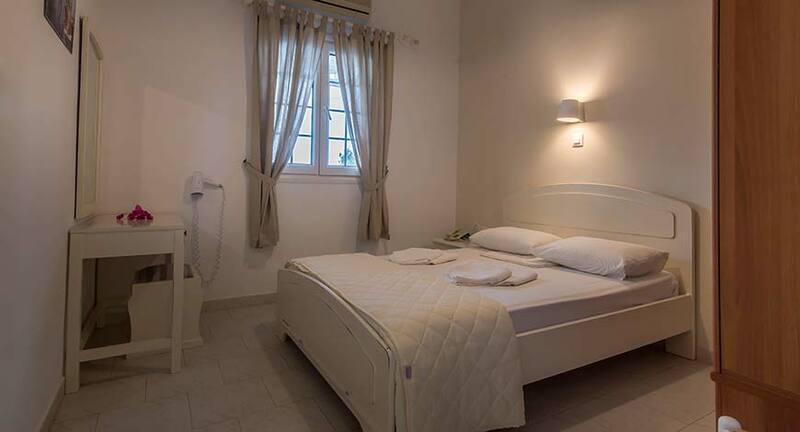 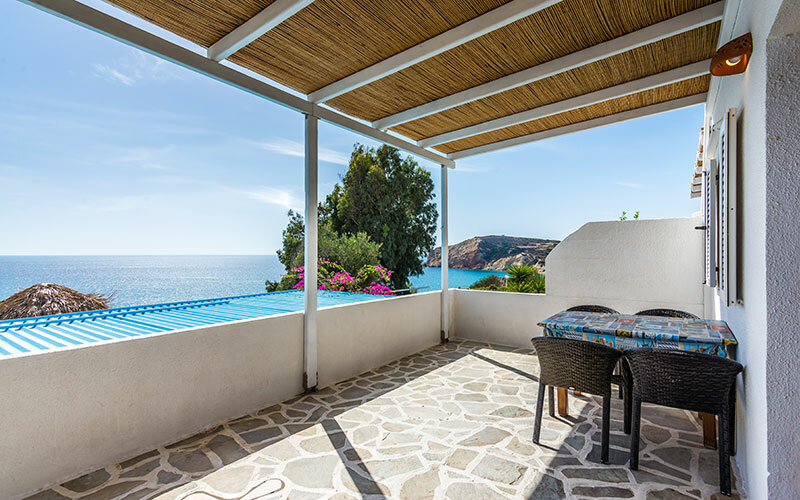 The two accommodation buildings, are located in a quiet area, just over Agios Sostis Beach, providing an exclusive view of the Provatas' bay and of the Aegean Sea. 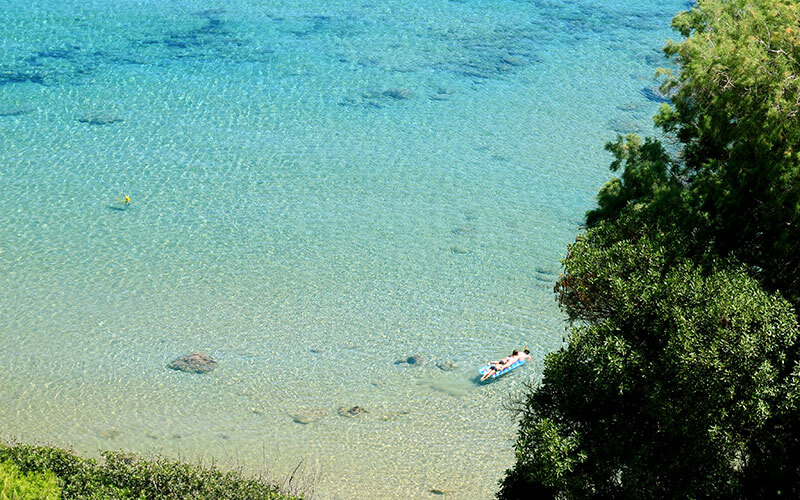 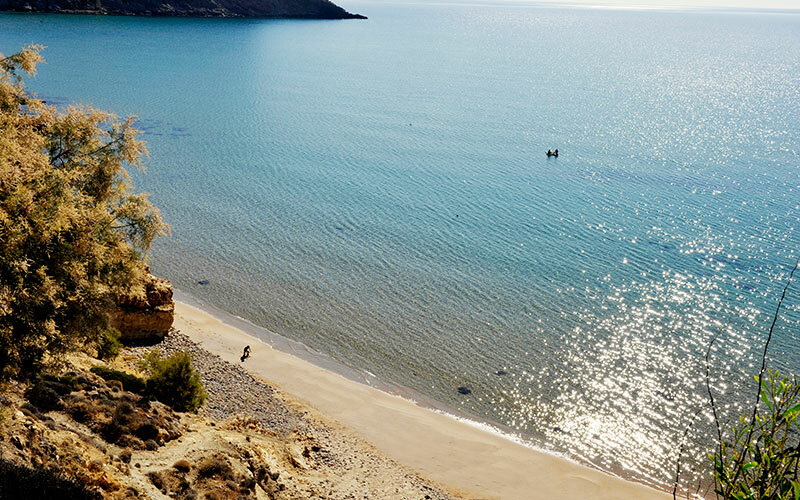 These Southern beaches, away from the strong summer wind “Meltemi”, with velvet sand and blue water, offer a unique relaxing experience and a sensation of peace in this part of the island. 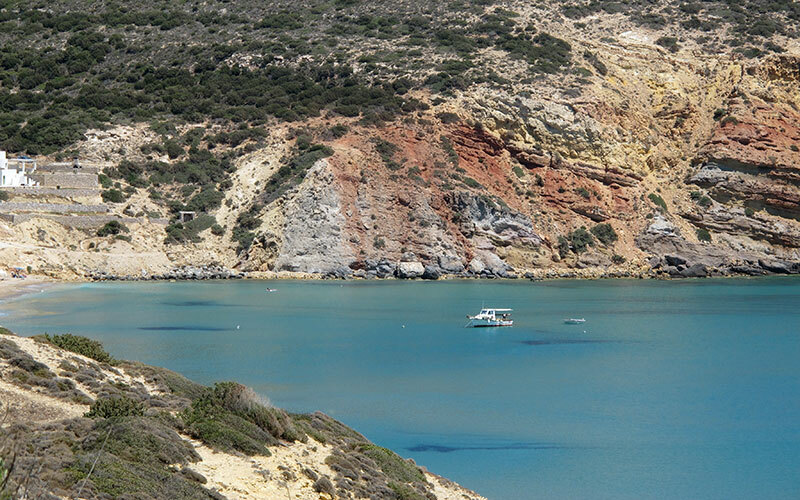 Near us you have: 4 taverns within 500m, a gullet ( the traditional Καΐκι , a wooden sailing vessel) going daily to Kleftiko and stopping at Gerontas, and the road leading West to the protected area of Natura 2000. 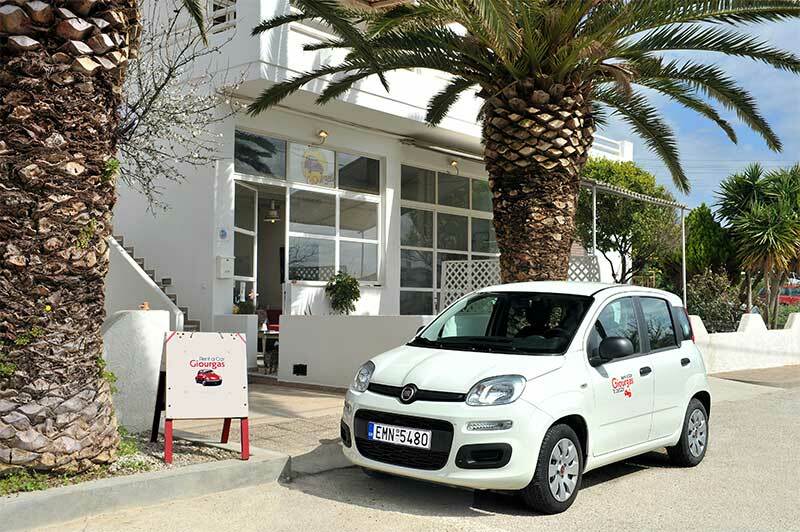 Our service inlcudes car rental with a variation of choices. 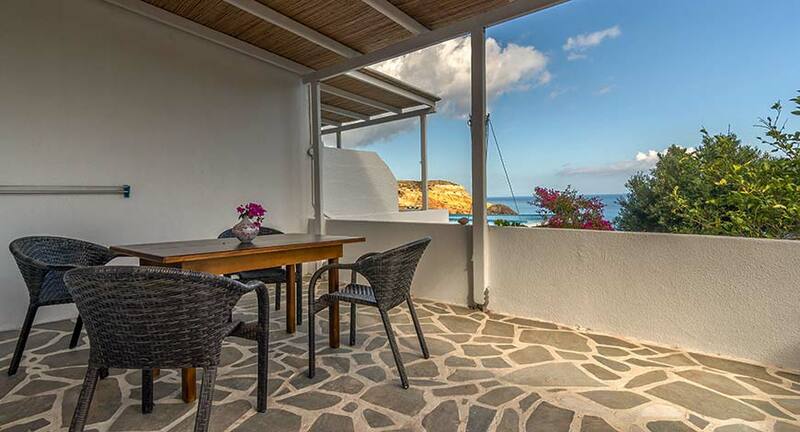 Provatas Milos, Cyclades 84801, Greece.